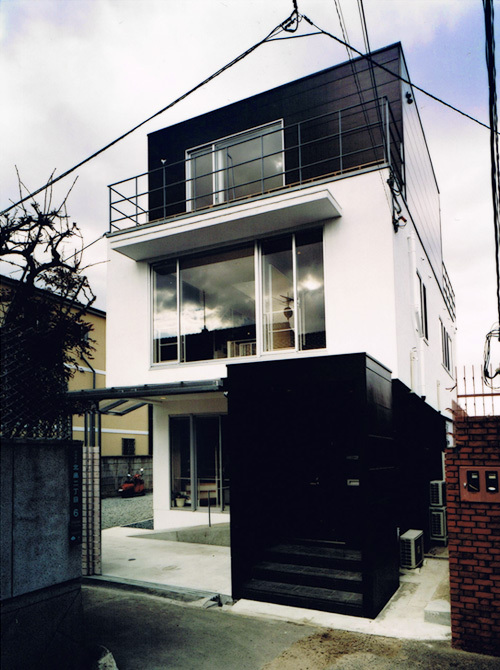 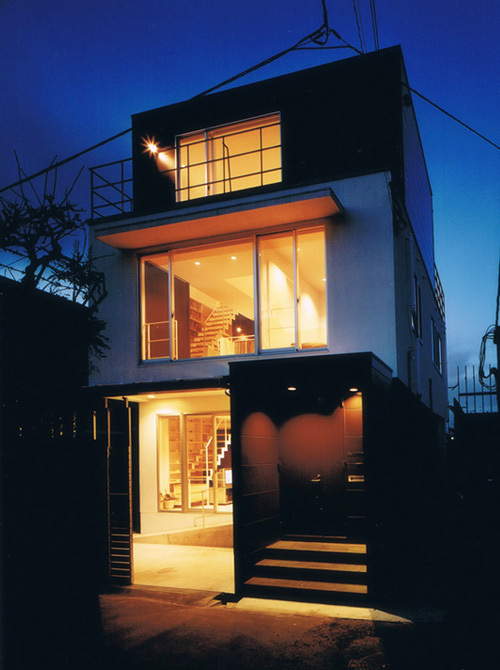 Reconstruction of three story house made by reinforced concrete. 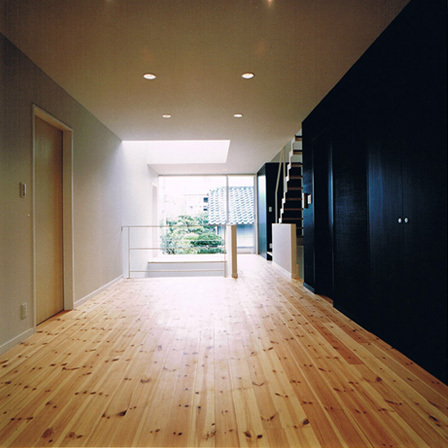 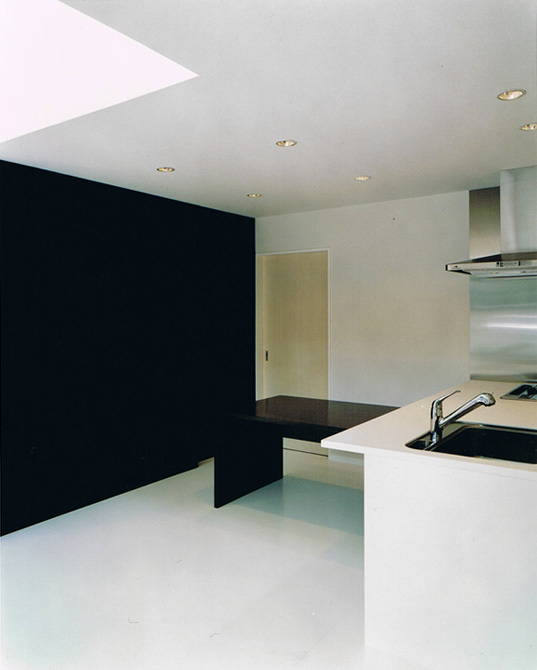 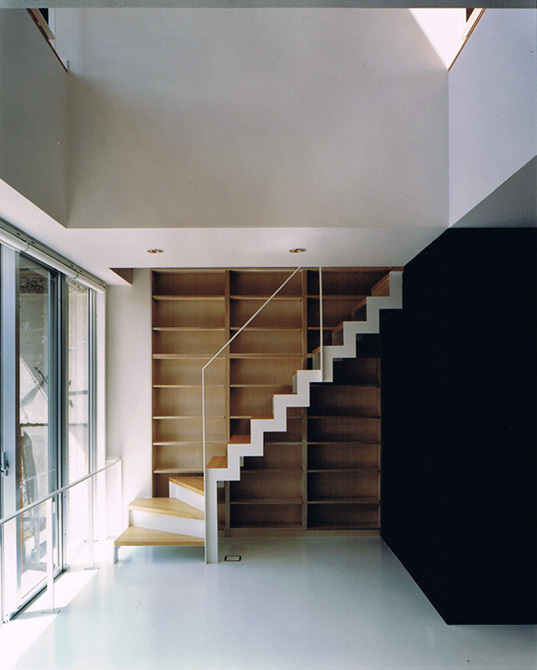 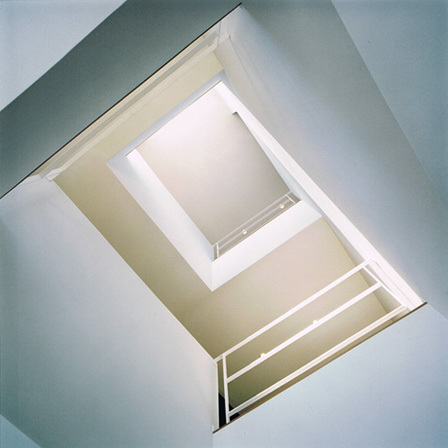 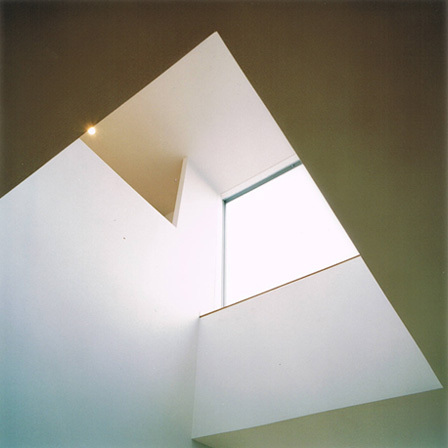 The floor in an existing building is punctured, and light falls from the second floor into the living of the ground floor through the void. 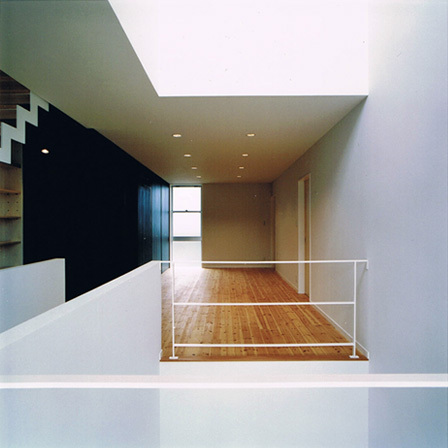 There is “Vague space” that isn’t “Corridor” or “Room”, in the center of the first floor. 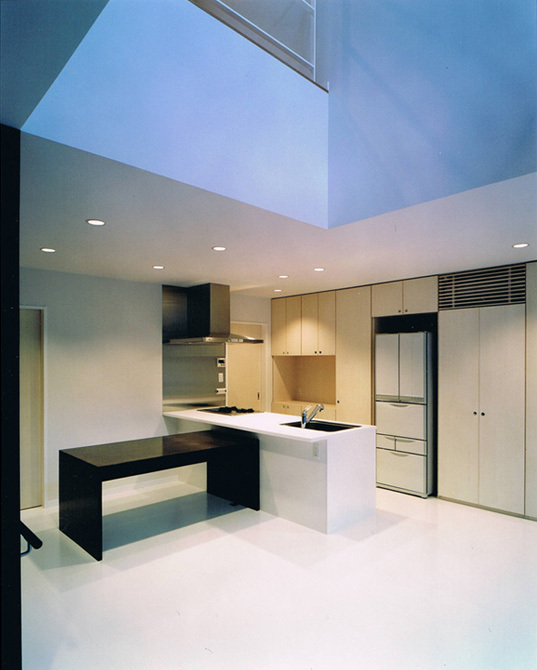 This “Vague space” gives a life the relaxed atmosphere.